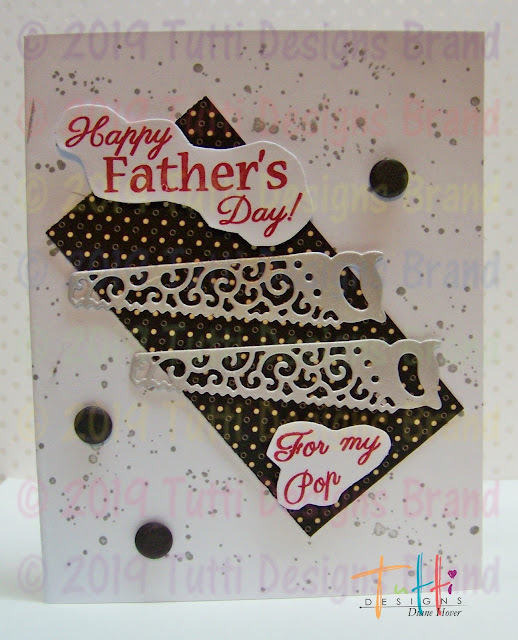 This was a quick and easy card that could be use for so many different occasions! I chose to make mine a birthday card since I'm in dire need of more ladies birthday cards. 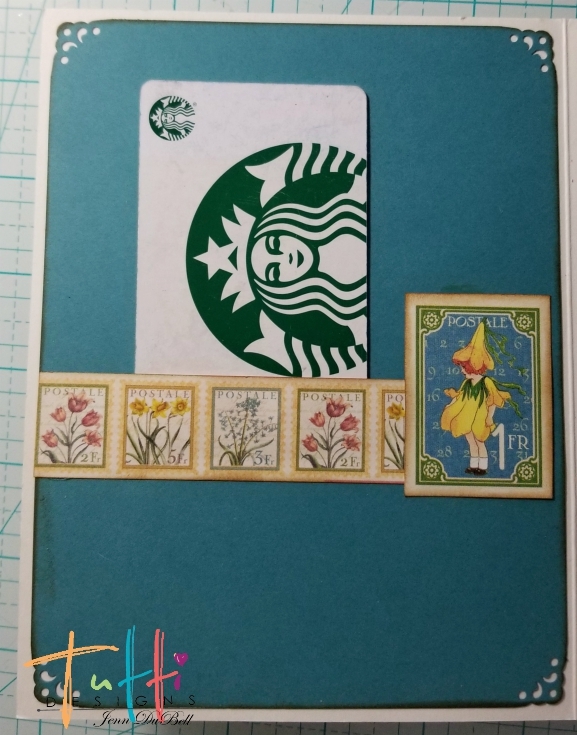 I've die cut this die three times and colored the ivy only on the panel that will be the top panel when I glue all three together. This helps add dimension without making my card to bulky for mailing. 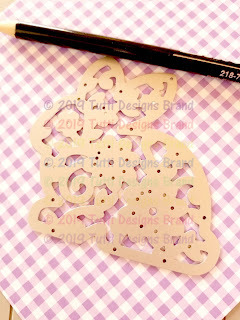 Two sided designer paper was used for my background ... bringing all the focus to this beautiful trellis. Hi everyone! 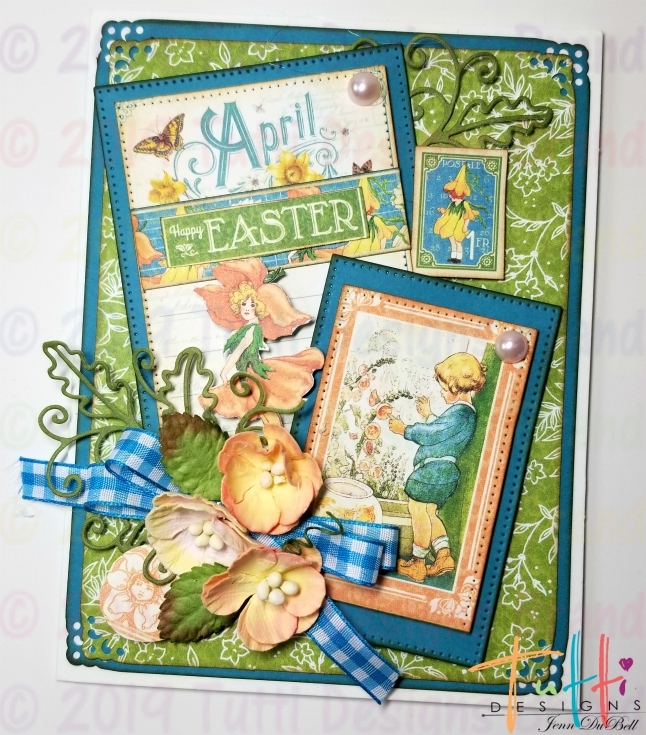 Laurie here with a spring card today. When I think of spring, I often think of flowers and butterflies, and nothing says spring like the Flower Cart die. I cut it out in pink, and adhered a row of tiny pearls across the base of the cart. 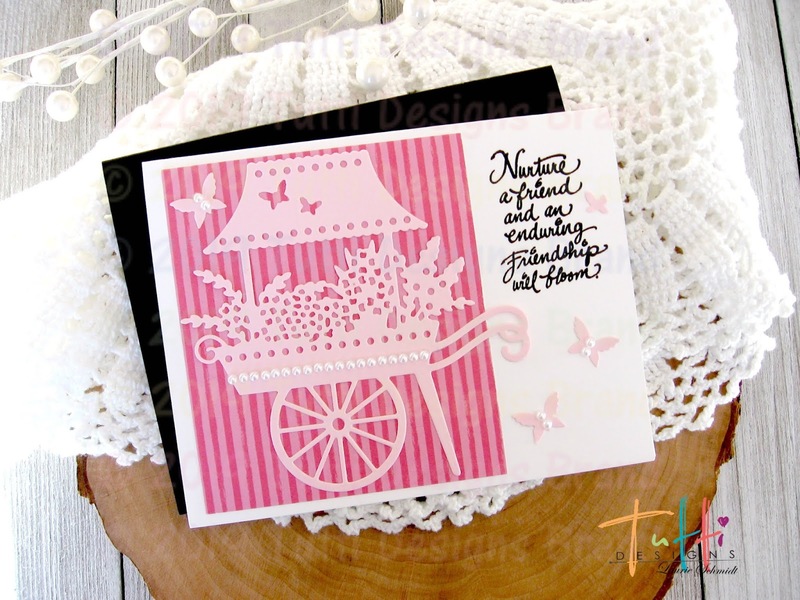 Then I cut out a piece of striped pink paper for my background, and stamped the sentiment at the side before I adhered the cart. I felt it needed a few embellishments, so I added some butterflies from the Stacked Butterfly Cups...just the perfect size! I also added some tiny pearls to those too. 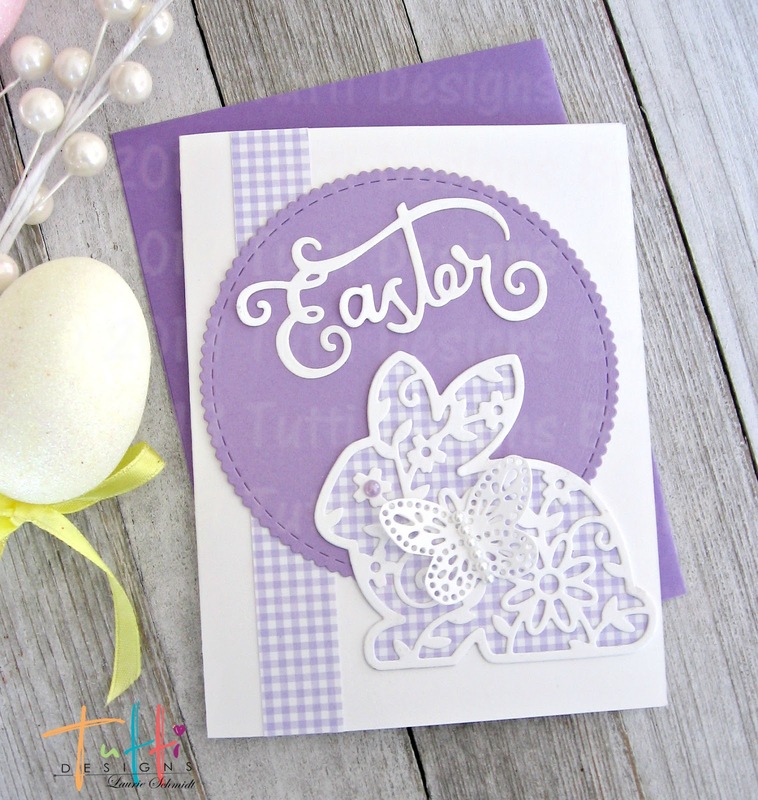 Hello there, Jenn here with you sharing a super cute Easter card using up my scraps of paper and some amazing Tutti Designs Dies! Start with a base card 5 X 6.5. Begin on the inside to keep from crushing any front embellishments. Cut down an ephemera card from the collection with lines. ( This is normally the flipside). Use a corner rounder on all four corners. Use a fancy corner punch on the two panel pieces. 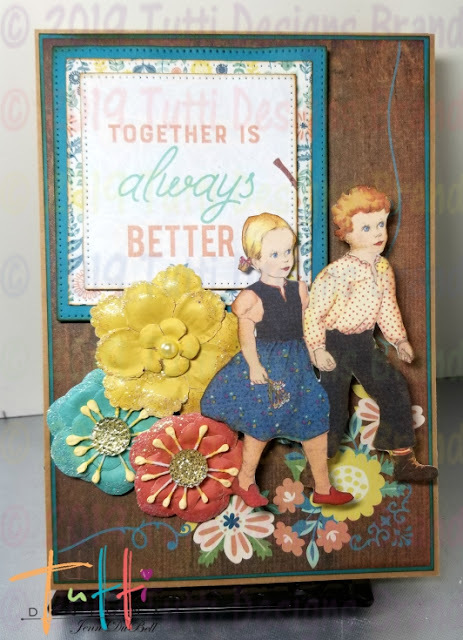 Ink the edges of all pieces with Distress Ink Vintage Photo. 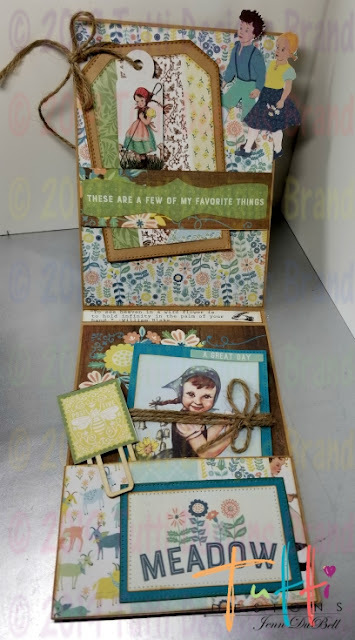 I added a couple border strips to each and a cut out stamp. Adhere cut pieces to the inside panels as shown below. 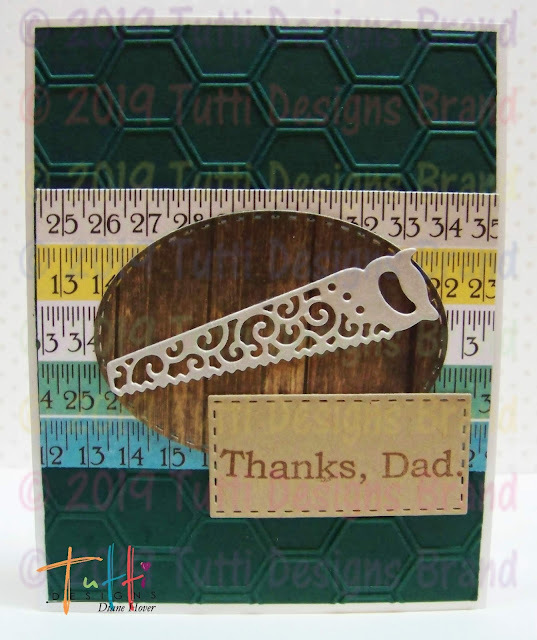 The inside teal panel has a tuck spot for a gift card or note by only gluing around the edges of the strip. Cut images from the designer patterned papers using the next size down dotted rectangle die for each of the teal ones cut. 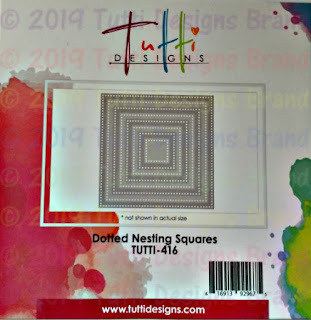 Use Foam adhesive squares to lift the images from the mattes and the card front. Add flowers, pearls, and bow. Here is a close up showing the amazing detail of these dies! with a fun die just perfect for that man in your life! designer paper to which I added a red piece of card stock. added a twine at the top of the tag. and I die cut just the handle again from red and paper pieced it. 'then added a few silver 'candi' dots. that seemed perfect for a 'guy'. 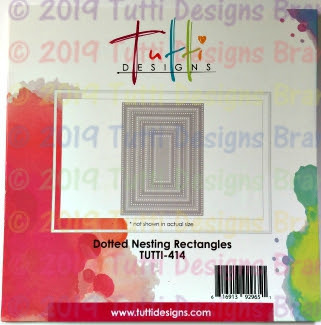 and a rectangle from Nesting Stitched Rectangles. The two saws were die cut from silver metallic papers. 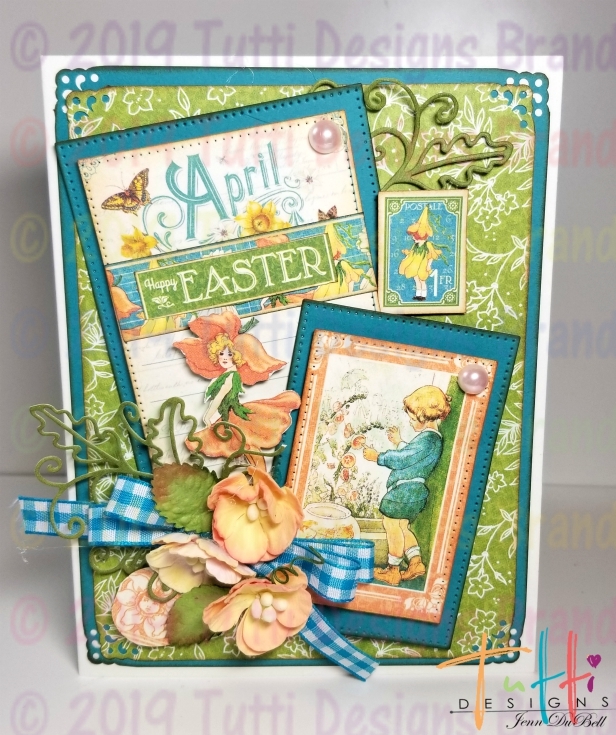 sentiments and 'candi' dots were added to finish.
. . . A Colorful Easter Basket! but some 'older' dies from the Tutti Designs Store. 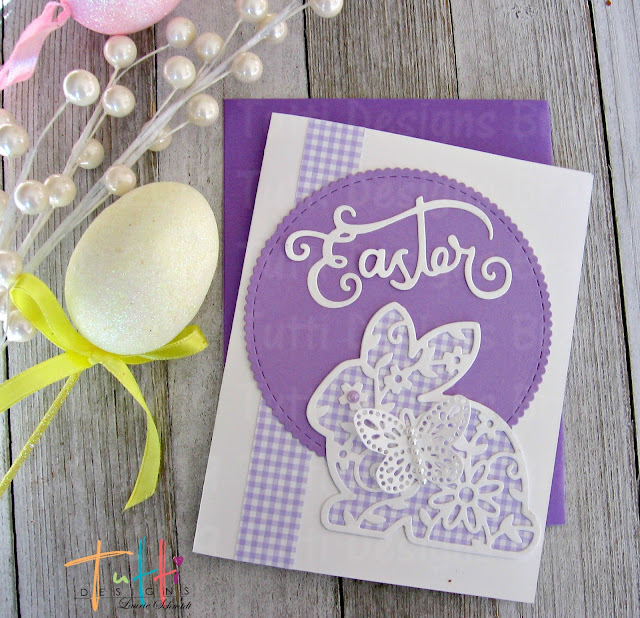 Easter is this Sunday so I wanted a COLORFUL Easter card to send along to my mom! She loves tulips so these dies were perfect! And, who doesn't like a butterfly to add some flutter! 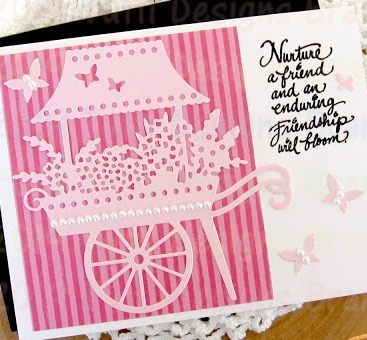 To showcase my dies, I've simply layered various colors of card stock and added texture to a few via embossing. 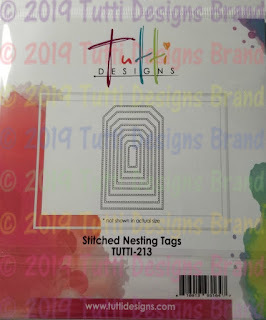 I've also die cut some of the panels using the Tutti Designs 'Dotted Nesting Rectangle dies'. Of course, I had to add extra sparkle to the eggs before popping my entire basket up with dimensional tape. I'm really into making Easter cards lately, and I have another to share with you today. 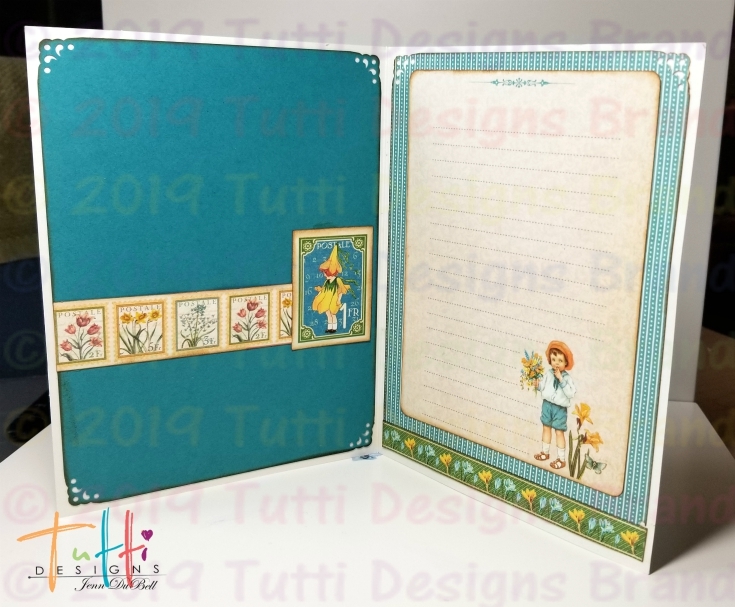 For this one I used Tutti's Floral Bunny. I cut him out in white, and then traced around the bunny die on some gingham paper to use as a background. In the center of the bunny I added a butterfly (with some tiny pearls) that I cut off of the butterfly strip. It gave some added dimension. I also cut out the sentiment from the Happy Easter Die in white. I adhered it onto a scalloped stitched nesting circle, and adhered that onto the the front of the card over the top of the gingham strip. Hello everyone! 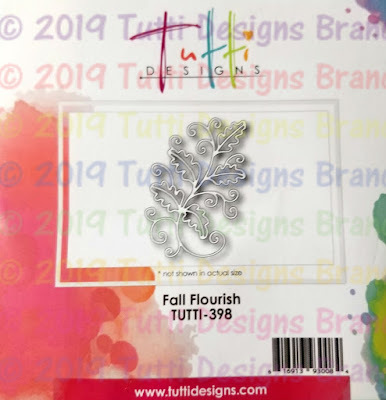 Jenn here sharing a fun folio style card I created using many amazing Tutti Designs Dies! 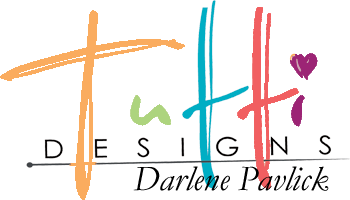 All of these dies come in packages of different sizes which works great for layering! Here is the inside of this fun folio! Inside there is a belly band that holds a mini tag album and a lower pocket that holds a fun little folder to put a note and gift card or photo in. 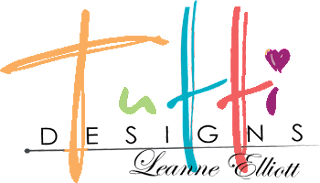 I added some fun fussy cut images at different levels on my cover to add dimension. 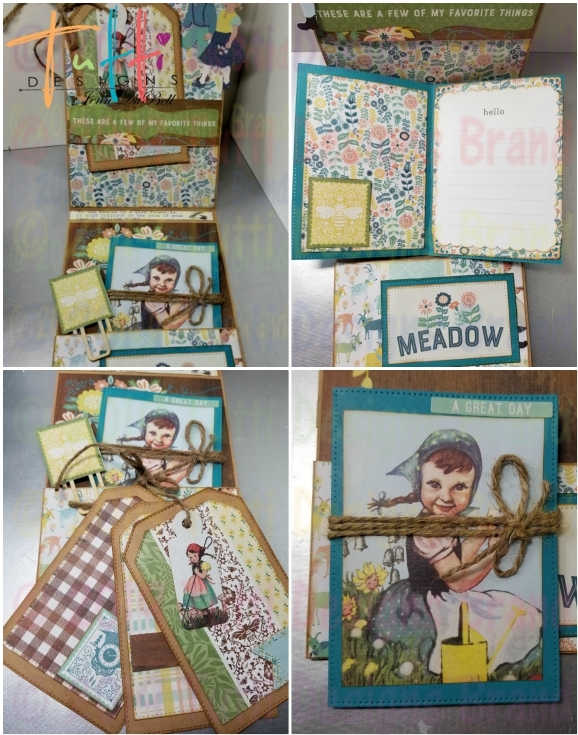 Here is an array of photos showing all of the fun elements I created inside my folio. My folio measure 5 X 7 and has a 1/2" spine.